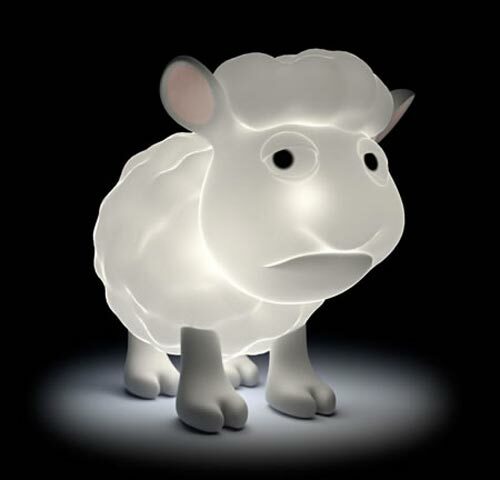 Check out this fun USB lamp, the Seamour Sheep Lamp. Seamour is now available in vinyl toy form from Crazy Label and Metin Seven. Not only that, but he glows! Yes, mimoco loves any product that makes vinyl toys a little more practical, and the Seamour Sheep Illuminative Edition does just that by acting as a USB-powered sheep lamp! Not only is it the only sheep-shaped lamp we’ve ever seen here at mimoco, it’s also the coolest, and not just by default! The Seamour Sheep Lamp is available to buy online for $59.00 form lab.mimico.com.